Endometriosis - Just how effective are natural treatments? Just how effective are natural treatments to help with the symptoms and pain of endometriosis? You need to be made aware and prepared for a fundamental piece of advice regarding the healing process, which any alternative health practitioner should give you - there is a phase of healing of the body called 'The Healing Crisis'. This is usually near the beginning of your healing. This is when the body is going into overdrive working hard to rebalance the system, get rid of unwanted toxins, and working to gear up the immune system. You will feel drained and tired and probably run-down. This is going to make you feel worse for a short while, rather than better. This is a crucial time for your body to organise its healing capabilities, but it is also a time when many people give up on trying to heal naturally. It stands to reason that this ‘healing crisis’ period will make you feel worse when you consider the amount of work your body is doing. This is why people feel so tired after an operation. The body is working very hard to heal from the trauma and repair the damage. It is the same when you have a virus or an infection, your body is working hard to suppress and destroy the invading infection. If you continued to function as normal, you would be using vital energy that should be used by your body for healing, repairing damage, destroying germs and viruses. It is nature’s way to make you sit down and STOP. Nature will knock you off your feet to make sure you can heal. This is why you do not heal when you take modern drug therapy for illness - you are not healing, you are masking the problem. So be prepared to feel drained, and maybe worse than you do already. Just be reassured that this is a natural process. 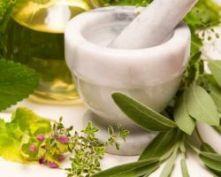 Do not start to worry that any alternative medication like herbs or homeopathic remedies is the cause of this feeling. These remedies will have kick-started your healing. With endometriosis there seem to be so many imbalances of the body to put right, and to enable real healing will involve a lot of restoring of many complex bodily systems. The length of time for this healing crisis will vary greatly from one person to another. It all depends on how seriously the body has become out of balance. It could be a few weeks, or anything up to a few months before you start to feel a shift in the right direction towards improvement. Just hang in there and be patient.